When we last left The Walking Dead, the once powerful man who made his presence felt through his trusty armor, the bat lovingly named Lucille, is seen lying on a hospital bed after being defeated by Rick (Andrew Lincoln). 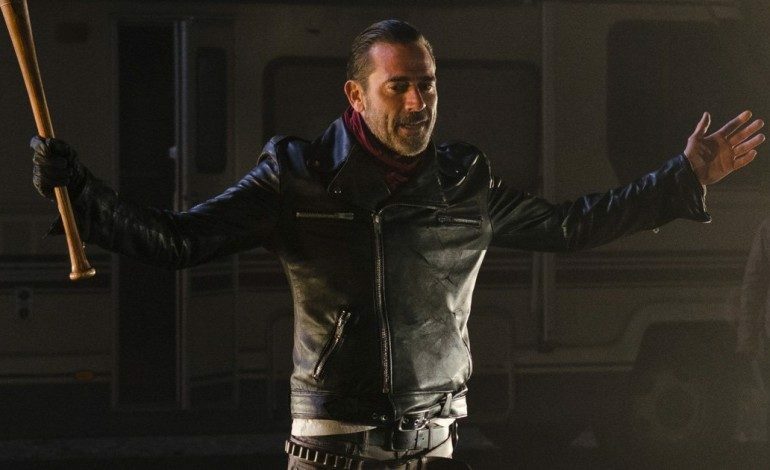 In the final moments of the finale, Negan (Jeffrey Dean Morgan) showed that he had a little bit of remorse for his actions when it came to Carl (Chandler Riggs). Instead of killing Negan, Rick had decided to let him rot in a cell for the rest of his life to make an example out of him. However, this does not sit right with Maggie who’s after an “eye for an eye” scenario regarding the bludgeoning of her husband – courtesy of Lucille. As she plans to turn on Rick, she finds an alliance with Daryl who also wants Negan dead. With season 9 drawing in closer, a trailer has been released showing Negan still in solitary confinement after 18 months. We finally somewhat see how this “new world” is playing out. In regards to how Negan is, showrunner Angela Kang sheds some light on what to expect for the character. “Of course Negan is still Negan — he can’t help but say things that are snarky or kind of rough, but we’re gonna see some really different emotional shades to him. He’s essentially been in solitary confinement for a year and a half since the end of last season, and one of the stories that we’re exploring is what that’s done to him,” Kang disclosed to IGN. With the departures of Andrew Lincoln and Maggie’s Lauren Cohan in season 9, Negan could potentially take on a bigger role. Season 9 is set to premiere on October 7.